-At least 65% of sales. 3 hour early admission to the Volunteer Presale. +4 hour early admission to the Volunteer Presale. +5 additional Disney Points per 3-hour shift. Anyone that signs up to volunteer, shops at the Volunteer Presale , and then does not fulfill the designated volunteer shift(s) (or a shift in its place) will earn only 50% of his/her sales and will not be allowed to volunteer at future Happy Mom events. In order for us to continue to pay back such a high percentage and have items AND checks ready so soon after the event, we must be able to depend on volunteers fulfilling the shifts to which they have committed. Thank you for understanding! *Please note that Happy Moms can reward certain marketing/advertising campaigns as volunteer shifts, and reserves the right to consider certain specific shifts, filled by Happy Moms request only, to count as more than one shift. 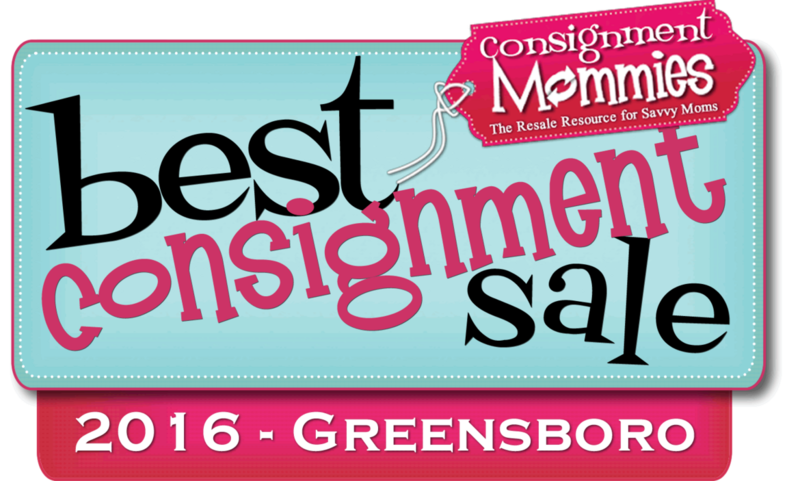 *For the Greensboro sale, there is a $10 consignor fee that will be deducted from the consignor check. Anyone selling more than $200 or volunteering a shift will have the fee waived! HERE IS THE ASHEBORO REFERRAL PROGRAM AND FEE FOR THIS SPRING SALE...FALL INFO COMING SOON! You will get a referral point for each new referred consignor that has never consigned with Happy Moms at ANY location. Each point will be an entry in a drawing with the winner being rewarded with a 10% bonus of his/her sales! THE CONSIGNOR WITH THE MOST REFERRAL POINTS WILL ALSO RECEIVE A 10% BONUS OF HIS/HER TOTAL SALES!!! *For our Asheboro sale, there is a nominal non-refundable fee ($12 or less, depending on when you register) to consign and can be paid via Paypal at the time of registration. This fee allows us to be able to provide the high percentages that we pay out, as well as the online tagging system we use, which charges us for each consignor that registers. Any consignor that sells more than $150 in a sale will have $5 added back to his/her check! or click HERE to register if you have previously consigned with us at ANY location! !